Who's afraid of the big bad werewolf? The creatures of folklore and entertainment have struck us with full-moon fever for generations, and it seems like a new litter of movies or TV shows starring the supernatural pups is always popping up. On TV, Syfy has a pack of two wolfy shows, such as Bitten and Lost Girl, but there is also MTV's Teen Wolf -- as well as The CW's werewolf-ish Beauty And The Beast. Vampires may take center stage with CW's The Originals and The Vampire Diaries, but the wolves are a regular burden to the bloodsuckers. 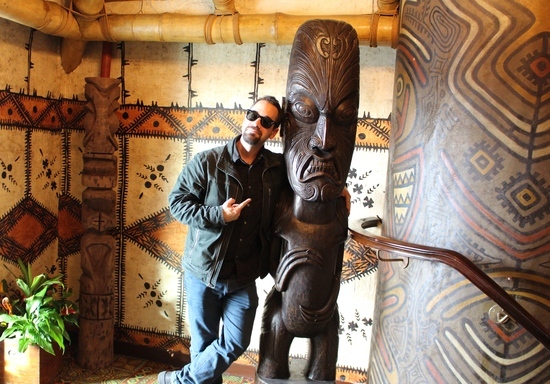 Although he's technically a "Blutbad" the hairy Monroe (Silas Weir Mitchell) on NBC's Grimm is definitely a wolfman. Supernatural also has an ongoing puppy love for them, as did the recently wrapped True Blood and Being Human, and the ongoing show Hemlock Grove. And director David Hayter's new movie Wolves even has Aquaman Jason Momoa wolfing out. 1. Lycanthropy is the disease, affliction (delusion?) of a human transforming into a werewolf. Merriam-Webster cites 1594 as the first known use of the word. 2. 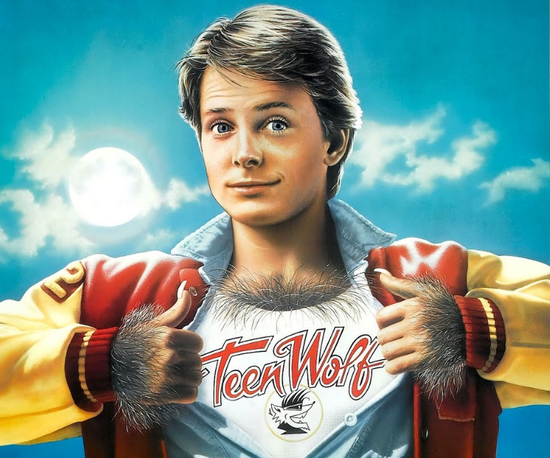 The idea that lycanthropy is transmitted from the bite of another werewolf is a fairly recent popular culture concept. Traditionally, transformation is due to magic, as a form of punishment or even a result of excommunication from the Catholic Church. 3. Syfy's Bitten is notable for its female lead character, who is a werewolf. But as it happens, the first werewolf movie, the 1913 silent film, The Werewolf, also featured a female lycanthrope lead. Directed by Henry MacRae, it is a short about a Navajo woman who turns into a wolf to seek vengeance. The film was lost in a fire in the early 1920s. 4. 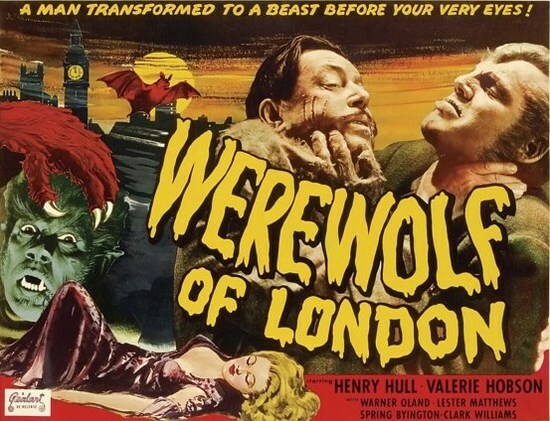 Werewolves were popular in Gothic horror in the early part of the 19th century, and their popularity continued into the 1900s, leading up to the first mainstream werewolf film, 1935's Werewolf of London. 5. Within the Catholic Church, Saint Ailbe (or Ailbhe) is the sixth century patron saint of wolves. Legend has it he was raised and suckled by a wolf after being abandoned in the woods as an infant. He also was said to protect a wolf from hunters when he was bishop, and would allow his wolf-mother and her cubs to dine in his rooms. 6. The Beasts of Gevaudan were said to be abnormally large wolves that killed up to 100 people in France, from 1764-1770. King Louis XV actually assigned wolf-hunters to the case, and the story - which still invites theories -- became connected to werewolf lore. 7. Lon Chaney, Jr. was the only actor take on monster duties for all of Universal's big four: Dracula, Frankenstein's creation, the Mummy and the Wolf Man. 8. 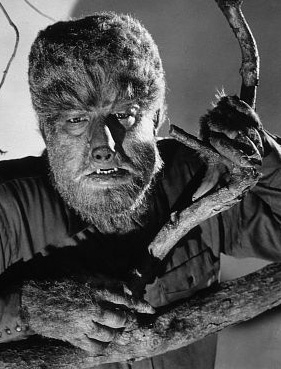 In the 1941 Universal Pictures film The Wolf Man, a full moon is not required for Lon Chaney Jr.'s character Lawrence Talbot to transform into a werewolf. Instead of a silver bullet, the wolfed-out Talbot is beaten to death with a silver-headed cane wielded by his father. 9. The story of Gavaudan was eventually retrofitted to include silver bullets, but silver as a way of dispatching werewolves appears to largely be a 20th Century contribution to the myth. But the precious metal has long been connected to the mysticism of the moon within alchemy. It is an antimicrobial metal and has been associated to purity. 10. The cost of silver for a single 9 mm bullet would be about $5. 11. Sharing similar DNA with the Wendigo and skin-walkers in Native American folklore, werewolf stories have long existed in the Americas. The American werewolf still exists in stories and sightings, particularly in the Midwest, where they have the Bray Road Beast of Wisconsin and the Michigan Dog-Man (recently featured on Destination America's Monsters & Mysteries In America). 12. On Syfy's Being Human, actor Sam Huntington's Josh is a Jewish werewolf (as was the character George, played by Russell Tovey in the original British series). The werewolf connection to Judaism is not new. Jewish screenwriter Curt Siodmak - who created the modern werewolf in his script for Universal's The Wolf Man - consciously saw a connection between the creature and being hunted because of one's identity. And medieval Tosafist rabbi Ephraim ben Shimshon once stated the biblical character Benjamin was indeed a werewolf. Oh, and so was the Jewish character Oz (Seth Green) on Buffy The Vampire Slayer. 13. The complex relationship between werewolves and vampires, well established in popular culture, began with 1944's The Return Of The Vampire, the first film to feature both supernatural monsters. 14. Hypertrichosis, also known as Werewolf Syndrome, is a medical condition that causes excessive amounts hair growth. The first recorded case was Pedro Gonzalez of Spain, who was born in the 16th Century and called "the man of the woods." 15. 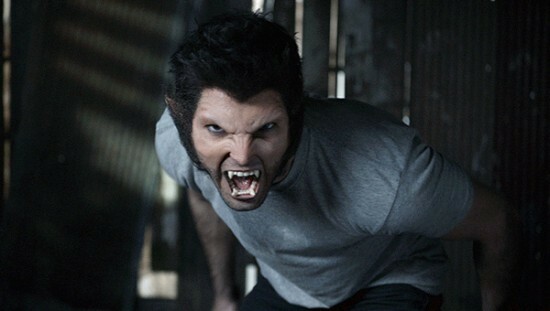 The Slavonic word volkodlak, which means werewolf, translates into vampire in Serbian. 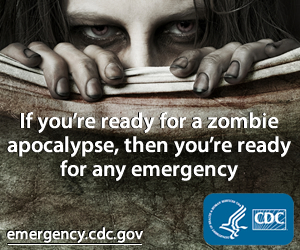 Moreover, some Eastern European legends foretold that dead werewolves would rise as vampires. 16. 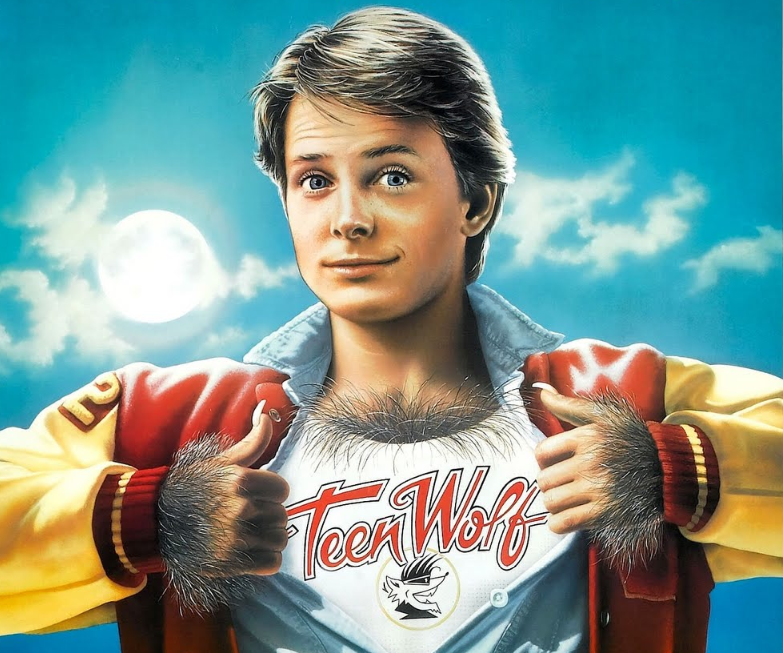 The MTV series Teen Wolf is an action-horror show loosely based on the 1985 Michael J. Fox comedy of the same name (and written by comic book giant Jeph Loeb). That film is at the heart of an Internet urban legend about an extra exposing himself (actually, herself) in the final scene. Intentional or not, her zipper is definitely down. 17. The February 2000 episode of The X-Files, titled "X-Cops," was written by future Breaking Bad creator Vince Gilligan. The story was presented as an episode of Cops, where Mulder and Scully join local law enforcement to pursue an entity that initially presents itself as a werewolf. 18. Though he wasn't stalking werewolves, the fictional Western hero The Lone Ranger only used silver bullets. Like the metal, he believed life is precious. He fired sparingly and didn't shoot to kill. 19. Wolfsbane, or aconite, is a flowering herbaceous perennial poisonous to humans and, as it turns out to werewolves. It was actually used to kill wolves before extending to the cursed monsters. 20. Man-Wolf is a Marvel Comics villain, the transformed version of Spider-Man's friend John Jameson. The astronaut Jameson was cursed to become Man-Wolf after a gem attached to his throat and reacted to moonlight. Captain America also turned into a werewolf for a short time. 21. Lee Ho Fook, the London Chinatown restaurant name-checked in Warren Zevon's 1978 Top 40 song "Werewolves Of London" is an actual place in the city's Soho area. Get a big dish of beef chow mein while there. Also real is the Trader Vic's, where a werewolf with perfect hair is spotted drinking a pina colada. It is located in the London Hilton, which overlooks Royal Hyde Park, and a wolfy wood carving greets visitors right inside the door. 22. In Bram Stoker's novel Dracula (1897), the vampire Count can transform into a wolf and has control over them. Also, before the character Jonathan Harker heads to meet with Dracula, he overhears Transylvanian peasants mentioning werewolves. 23. During World War II, the Nazis used Werwolf" as the name for one of Hitler's headquarters as well for a strategic operation. 24. 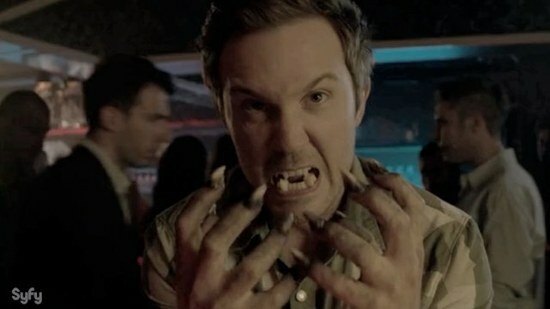 Werewolves have appeared a few times in the Doctor Who universe but most notably in the 2006 episode "Tooth And Claw." The wolves were actually Lupine Wavelength Haemovariform aliens, but the episode led to the formation of extraterrestrial threat agency Torchwood. 25. 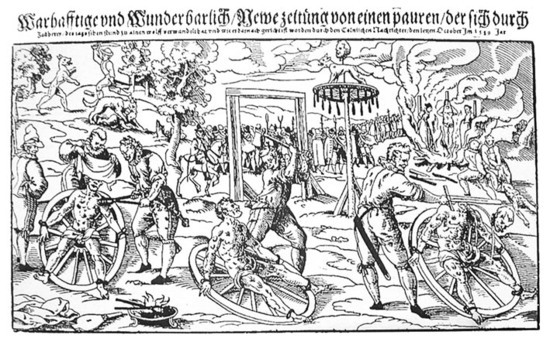 Peter Stumpp was known as the "Werewolf of Bedburg" in the Rhinelands. While being tortured for cannibalism and murder allegations, he confessed to transforming into a wolf using a magical belt given to him by the devil. 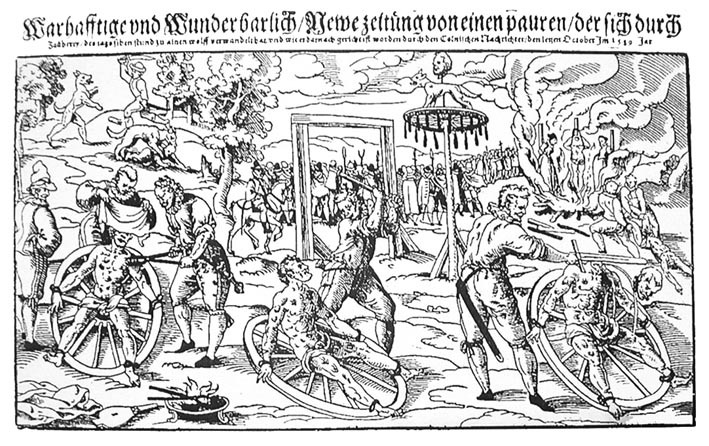 Werewolf trials were not uncommon during this time, but Stumpp's story is the most famous - as was his very gruesome, extended execution, depicted here. 26. In the 1987 monster mash-up classic (and still underrated flick) The Monster Squad, the Wolfman's face is modeled after effects legend Stan Winston, who worked on the film. 27. The Howling, the 1981 film directed by Joe Dante, is full of werewolf references and in-jokes (a portrait of Lon Chaney, Jr. is in one scene; characters are named after actors from werewolf movie directors; a copy of Allen Ginsberg's Howl is shown) and is set in a world where the creature is an established fictional monster. 28. Special effects guru Rick Baker left the production to work on director John Landis' An American Werewolf In London (1981). Good move: Baker won the very first Academy Award for Outstanding Achievement in Makeup for American Werewolf, an Oscar that was pretty much created for him to win. 29. American Werewolf had a poorly received sequel of sorts, An American Werewolf In Paris in 2006. Landis wasn't involved with this, but he did co-write and direct a 2005 Masters Of Horror anthology episode "Deer Woman" which is referenced as existing as in the same universe as Werewolf. 30. The werewolfy Frute Brute was a General Mills Monster Cereal (along with Count Chocula, Franken Berry, Boo Berry and Yummy Mummy) introduced in 1974 and discontinued in 1982. For Halloween 2013, Frute Brute returned to shelves for a limited time. 31. Connected to werewolf lore, Kallikantzaroi are underground goblins from Greek tradition who surface during the 12 days of Christmas, and appear as half-beast humanoids. Children born during the 12 days were in danger of becoming one. They are known as "man-wolves" in Southern Greece. A similar Christmas season werewolf belief additionally took root in Germany and werewolves are also particularly active in Poland during the 12 days, according to folklore. 32. The werewolf at the end of Anchorman 2 is actually a re-purposed werewolf from a deleted scene in 2004's Blade: Trinity. Created by effects company Spectral Motion, the creature, originally nicknamed a "were-hyena," was re-colored and styled for the Will Ferrell movie - and Anchorman studio Paramount had to seek permission from New Line Cinema to use it.